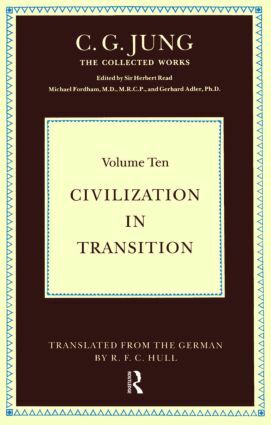 For this second edition of Civilization in Transition, essential corrections have been made in the text, and the bibliographical references have been brought up to date. This volume contains essays bearing on the contemporary scene and, in particular, on the relation of the individual to society. In the earliest one (1918), Jung advanced the theory that the European conflict was basically a psychological crisis originating in the collective unconscious of individuals. He pursued this theory in papers written during the '20s and '30s, focusing on the upheaval in Germany, and he gave it a much wider application in two major works of his last years ^DDL The Undiscovered Self, concerned with the relation between the individual and a mass society, and Flying Saucers, on the birth of a myth which Jung regarded as compensating the scientistic trends of our technological era. An appendix contains documents relating to Jung's association with the International General Medical Society for Psychotherapy.